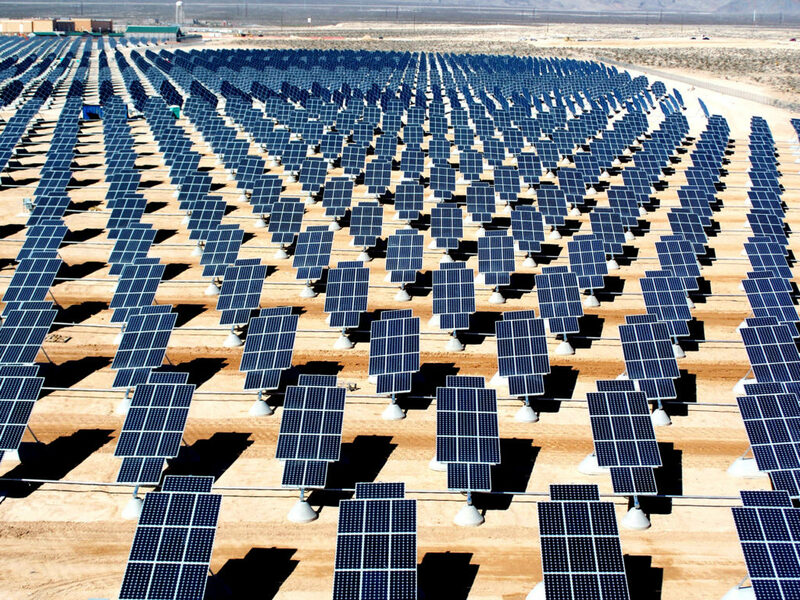 Solar energy in the United States had its best quarter ever. Can it keep it up, though? The 3rd quarter of 2016 saw more photovoltaic (PV) systems installed than any other quarter so far. 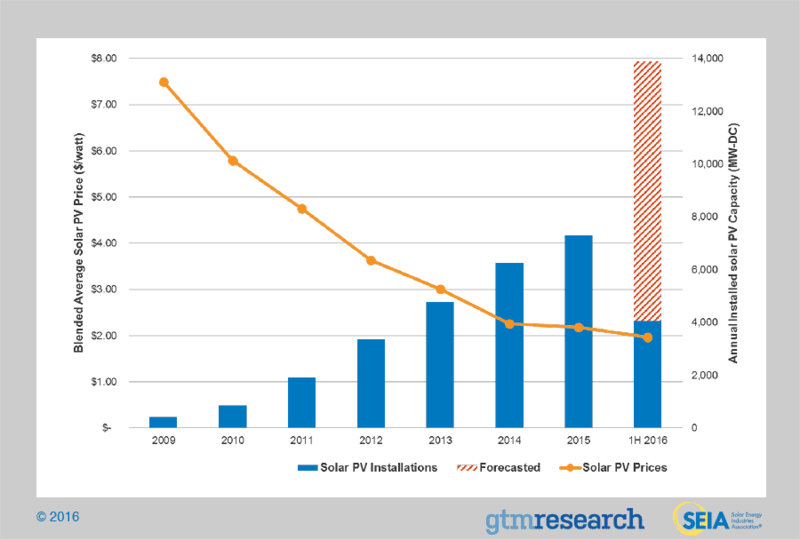 According to the latest market insight report released by GTM Research and the Solar Energy Industries Association (SEIA), this year is shaping up as yet another record-breaking one in installed solar capacity after a good 2015. According to the latest figures, some 4,143 MW of solar PV were installed in the U.S. during Q3’16, marking a 99% increase over Q2’16 and a 191% rise over Q3’15. One megawatt of photovoltaic power came online every 34 minutes in Q3’2016, which is enough to power 164 American homes on average. There’s great optimism for the current quarter as well. Despite no official figures have been released, the report’s authors claim Q4’16 is expected to greatly surpass Q3’2016. Over a million solar systems are operational in the country as of May 2016. The unprecedented growth of the U.S. solar industry was primarily sustained by utility-scale installation, which represented 77% of all the solar power installed in the third quarter. Just so you can get a sense of what’s to come in Q4, 4.8 GW worth of utility-scale projects will come online by the end of this year. That’s more than all the utility PV installed in 2015. Residential solar installations or rooftop solar actually experienced a slowdown in growth compared to previous quarters. 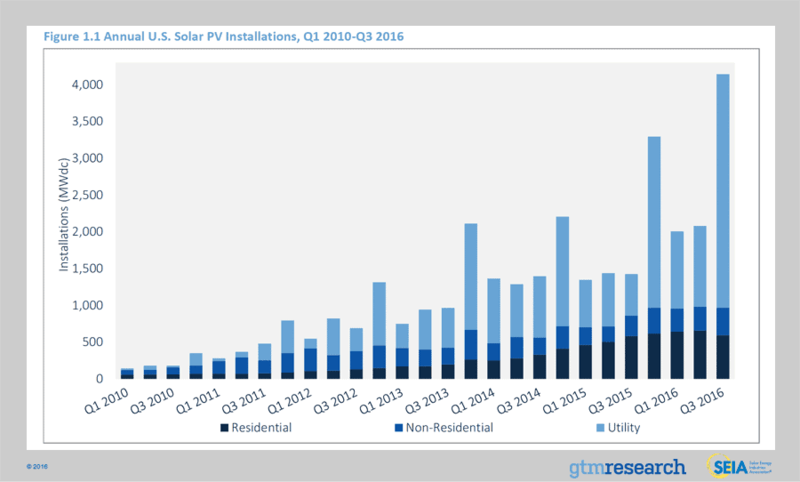 Residential solar is down 10 percent compared to Q2’2016 and, overall, this sector experienced only 2% year-to-year growth. Nevertheless, more than half-a-gigawatt of residential PV was installed in Q3. The massive deployment of utility-scale solar can be pinned to anxiety and uncertainty over the expiration of tax credits. Congress, however, extended these until 2019. Maybe 2017 might not be so good as 2016 but the next two years will see a lot of growth for solar. The cost to install solar has dropped by more than 60% over the last 10 years. The bad news is that post-2019 things look murky. It doesn’t seem probable that tax credits that incentives solar use will be extended by the new administration. On the other hand, solar energy might become so cheap by then that it doesn’t really matter what the government has to say. Market forces will sustain the momentum. In places in the U.S., solar energy is cheaper than fossil fuels even without subsidies.